Foundation is an essential step in the makeup application process, but many women struggle with finding the formula, shade or application method that is best for them. Here’s our suggestions for helping you buy and apply the foundation that is right for you. Get ready to achieve that flawless-faced look that you’re always after! For starters – what’s the right foundation formula for you? 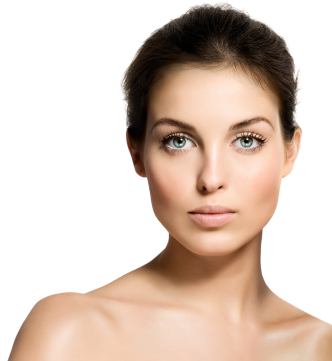 · Liquid foundation hydrates, smoothes and provides medium to full-coverage. Great for all skin types. · Mineral foundation goes on light, providing medium coverage. Best for normal to oily skin. · Compact powder foundation gives light to medium coverage and is ideal for normal, combination, and oily skin. · Cream foundation goes on smooth, providing medium to full coverage. Best for dry to normal skin. *Always make sure to purchase oil-free products if you have oily skin or are prone to breakouts. The last step is application, which really comes down to preference in terms of the tool you use. Depending on the type of formula, there are a variety of brushes to choose from. Once you’ve picked your tool, it’s time to apply. Simply start from the middle of your face, working your way out in an upward motion, thoroughly blending the product as you go. (Note: blending should be emphasized along the jawline to prevent creating any visible lines). If you used a liquid or cream formula, finish with a dusting of loose face powder to set foundation. Now that we’ve laid out the basics of foundation selection and application, what questions or comments do you have?! 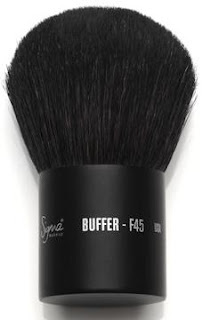 I won a buffer brush (F45) from a Brazilian blog, do not wait to finally get to test some brush from Sigma # anxious. Vanessa - That's awesome! We can't wait for you to try it out and let us know what you think! I simply love your brushes! They are on my Christmas wishing list. Thanks for this article! I has been very useful!